Infrared Range: -20� to 400�F. 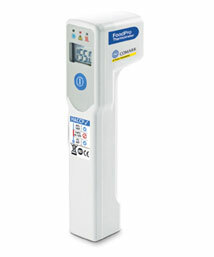 The C816FS offers quick convenient temperature checks for all food applications. Target illumination shows measurement area so user can move closer for more accurate readings. *Image shown is previous model.